← Cycling and Hiking R US! No Troop Meeting Tonight! Bike Ride on Thursday, though. What a wonderful weekend! 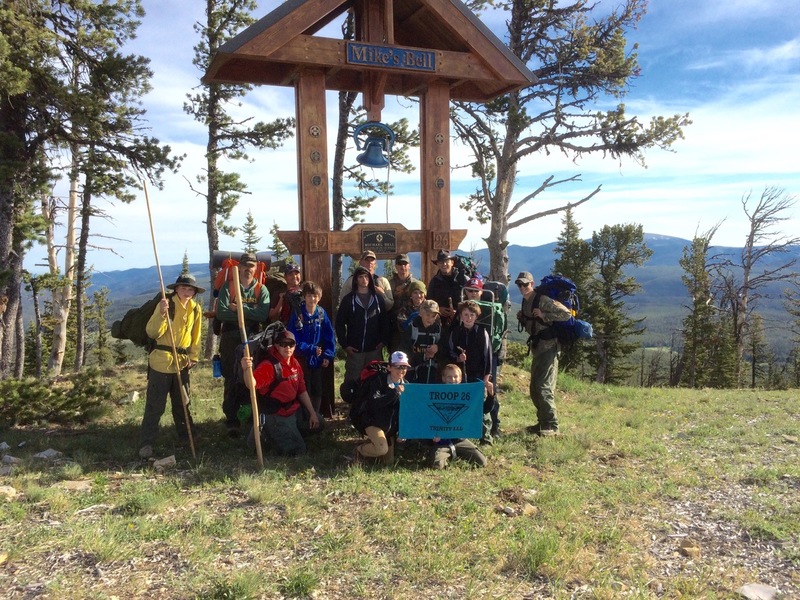 Eleven Scouts enjoyed hiking up Porphery Peak, carrying everything they needed for a weekend of camping and service. I know that the skiers who enjoy Showdown Ski Area will appreciate the day of service clearing saplings from King’s Ridge and Good Luck. Many thanks to Ben Haugen for his sharing his hospitality and expertise! Photos are up for all to share on the Troop Facebook page. There will be NO Troop meeting tonight. However, your Quartermaster is working on a project to ensure that we have enough Troop tents in serviceable condition to take to Summer Camp. We will need eight tents to accommodate all sixteen boys attending! Please call Marco and offer your help with that project. We will be riding a 10-miler for the Cycling Merit Badge on Thursday, June 25. Plan to leave the Knickerbiker parking lot at 6pm. Three boys rode last week and enjoyed ice cream at Coldstone! The ride will only happen if you contact me in advance to let me know you are coming. Next Troop meeting will be Monday, July 29. Details on that meeting will be forthcoming later this week. At that meeting, please give your congratulations to LT and Michael, who served as Camp Staff at the Cub Scout Day Camp last week and who are currently going through National Youth Leadership Training at K-M Scout Ranch.